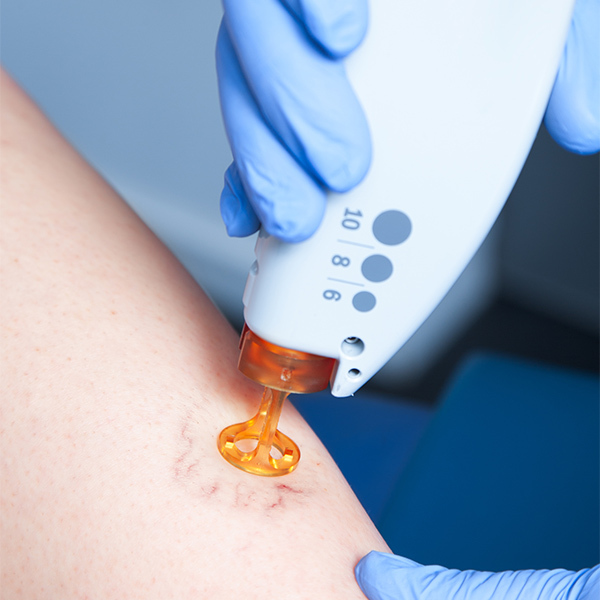 Small, unwanted blood vessels on the face (particularly around eyes and nose) and legs, can effectively be treated using the highly effective Nd: YAG 1064 laser. For each area, our team will use a different laser setting. Key advantages of the treatment include absence of injection or significant bruising, and minimal downtime. When the Nd: YAG 1064 wavelength is absorbed by blood vessels, the resulting heat seals the vessels, causing a blanching of the redness, which reduces their visibility. Key benefits are that there are no long-term skin surface changes and the vessels are not ruptured. Avoid taking aspirin, anti-inflammatory drugs and herbal supplements as they can increase bleeding. Stop smoking. Take certain medications or adjust your current medications. Small vessels may disappear immediately. There is a transient redness and occasionally mild local swelling after the treatment. May take minutes to days to settle depending on size and location of areas treated. 1-2 treatments for small vessels, lager veins make take several treatments depending on extent and your expectation.